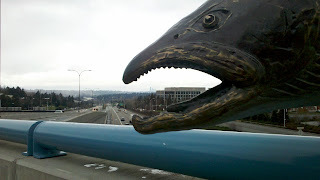 Usually this is somewhere in Seattle, but I'm changing it up a bit this week... A close look in the fish's mouth shows the Seattle skyline, so the picture is Seattle, but where is it taken? I.e. where's the fish? Answer to last week's puzzle after the jump. 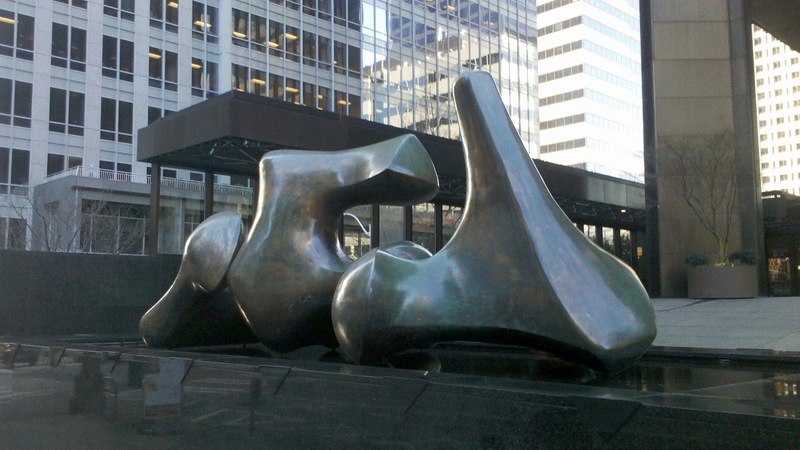 Last week's photo shows Vertebrae, Seattle's only outdoor sculpture by renowned artist Henry Moore. I enjoyed taking photos of this piece from different angles in an effort to obscure its most recognizable look. It has a remarkable number of very different appearances depending on the viewing angle. 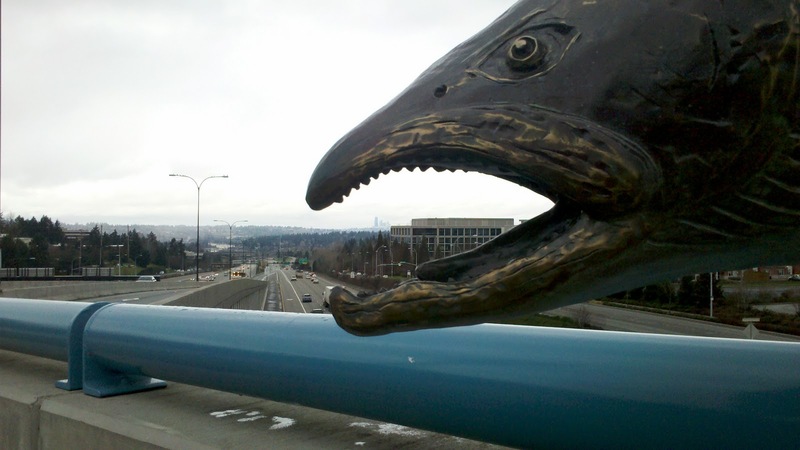 Although the sculpture is nominally separate from the building in which plaza it sits, Seattle statute prevents its removal unless replaced with a piece of equal or greater value. The building sold, but Vertebrae required no chiropractic adjustment, and remained in place.